As against traditional cultic and sociological interpretations of the 'I' Psalms, this original study stresses the 'I' as a literary figure. Yet on the other hand, the historical interest of the traditional models is retained, here with emphasis on 'original' function and intent. There is a common set of central motifs related to the 'I'-figure, most easily discernible when referring to categories of locality. The 'I' is depicted in a sacred landscape of contrasting localities-'Sheol' and 'Temple' connected by the concept of 'Way'. This motif structure deploys an ideological language in which the 'I' figure is an embodiment of a religious paradigm, that attests a process of actualization and integration. The religiosity of these texts is of a mystical character, pointing to some religious practice of intense personal character aimed at experience of a divine reality. No doubt the social location of such experience was among the elite, but some texts hint at a possible 'democratization' of the religious practice they portray. 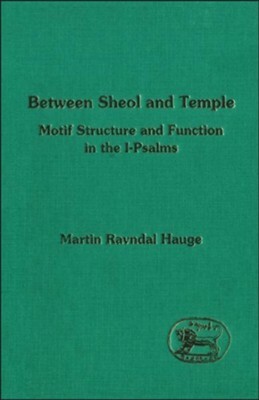 I'm the author/artist and I want to review Between Sheol and Temple: Motif Sturcture & Function in the 1-Psalms.